In addition to our shop's selection in Southwest Plaza, we offer even more on the catering front. I Love Crazy Dough offers full meal service, as well as trendy and modern dessert options which will have your guests talking for years to come. 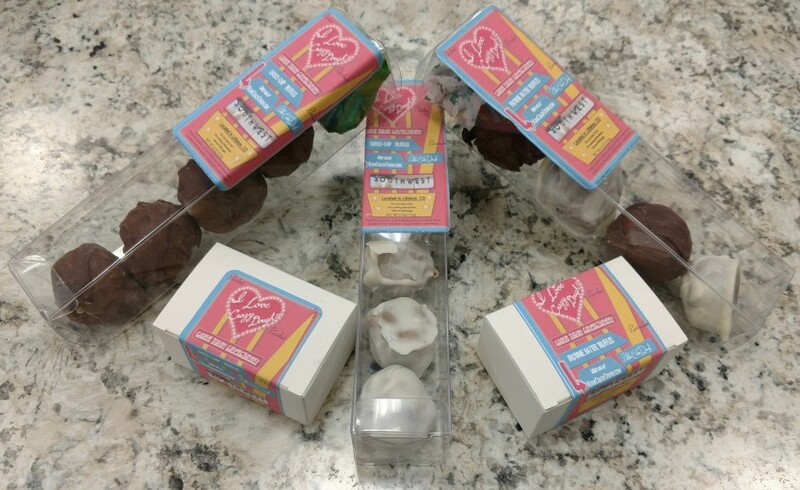 An example is our Dipper-Dough Package, which gives you a chocolate fountain, and assorted dippables including cookie dough. Our full meal service strives to be a fusion of the trendy and traditional, reviving classics, and long forgotten delicacies customized to your desires. Absolutely perfect for our wedding! Brad at Crazy Dough was an absolute delight to work with! Through out the whole experience he was very responsive and the set up was gorgeous and delicious! 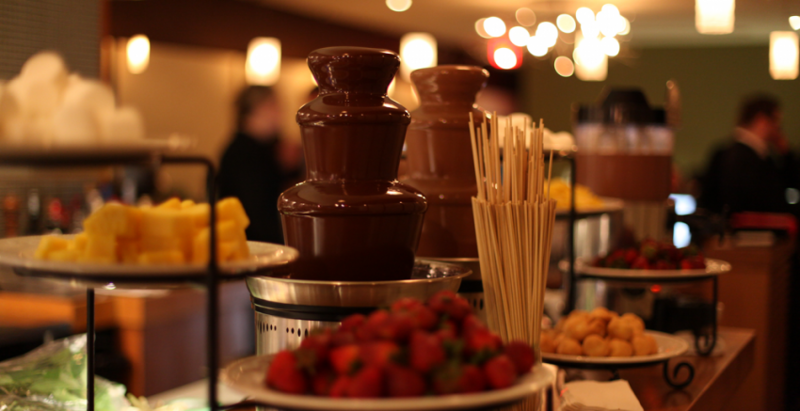 The Chocolate fountain was a great addition to our wedding! Thank you SOO much for having us Katlyn! You were a truly beautiful bride, and both myself, and Ted, were so happy to be a part of your special day. Cheers to you! I Love Crazy Dough has been an incredible addition to our school fundraisers. The entire team is super friendly, and the kids are obsessed with their sweet treats. Thanks SOOOO much for utilizing us Nicole. 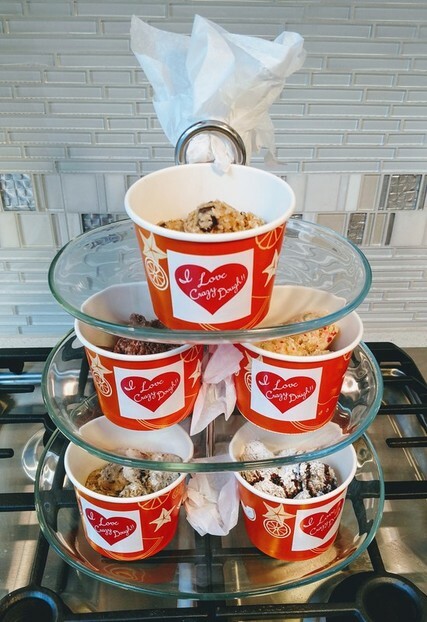 We love working with the community, while providing treats that the kids just adore. In addition to our edible cookie dough, we have some other goodies we think you'll love next time. We'll be talking to you soon! Thanks Again!! Affordable, friendly catering service, with food customized to you, and a plethora of predetermined choices for you to choose from. Our ultimate goal is to be hip and on-trend, but we know that does not fit everyone's tastes. Therefore, we are just as happy delivering traditional, formal options as well. I Love Crazy Dough!! was brought to life by two very good friends. ​They have known one another since they were in the 6th grade together, in the year 2000. Since college, both of them have had a burning desire to open a business. However, the right idea, nor the right opportunity, never presented itself...until 2017. After both of them had gone through a number of life changing events, they came across the idea of raw, edible cookie dough. After some swishing, it was decided, and they said, "What the hey! ", and ​I Love Crazy Dough!! was born. I Love Crazy Dough!! is a cookie dough confectionery, specializing in gourmet, raw, edible cookie dough. There is no raw egg in our dough. In addition, most of our recipes utilize a special milk, which makes our Crazy Dough stable at room temperature for days. We also offer our dough baked, along with complimentary gourmet items. We greatly appreciate the opportunity to serve you, and welcome any and all questions you may have. @ I Love Crazy Dough!! "We cater to one thing...YOU! Because we believe that no two events are alike, big or small." That's our motto. So, while we may tell you that our Italian food is to die for, because our CEO is Italian, with a family that only came to America about 125 years ago. And we may tell you that our desserts are incredible, because our Director of Dough's family is from Kentucky. And, we probably will tell you that you're crazy to not try our Edible Cookie Dough, which has a storefront in Southwest Plaza Mall dedicated to it. We're here for you, and for what makes you and your stomach happy. So, if that means we need to sit down with your mom to have her explain exactly how to make your favorite comfort food, then we will. 1. We do have servers on staff, available at an hourly rate. 2. We do not have a liquor license, and therefore are unable to supply alcoholic beverages. 3. 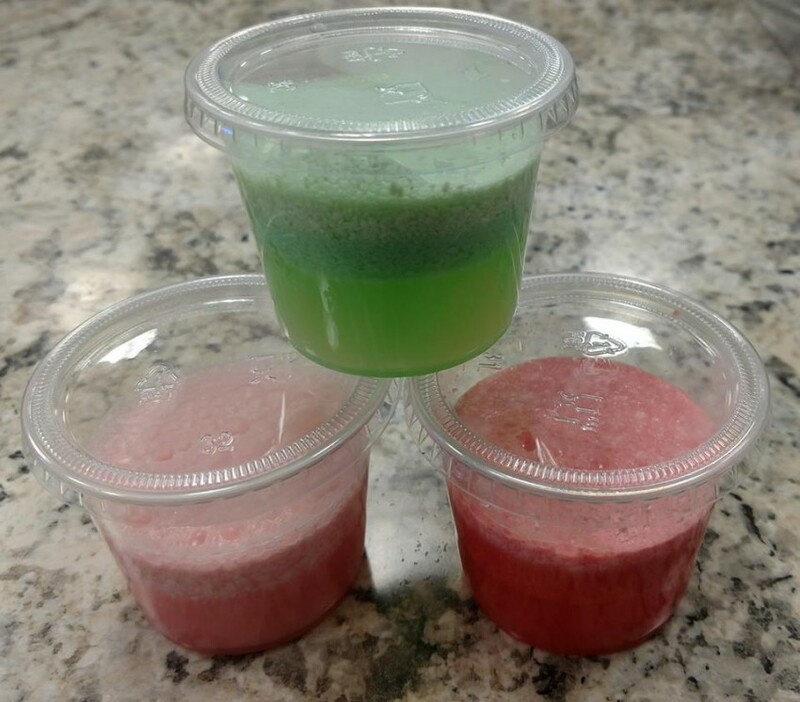 We can supply non-alcoholic beverages, including custom fusions. 4. Our food is delivered in disposable foil containers. 5. Depending on the event, we have racks and warmers, even disposable ones. 6. Our standard delivery fee is 10%, and we deliver almost anywhere in Colorado. 7. We only have disposable dishware and utensils. 8. 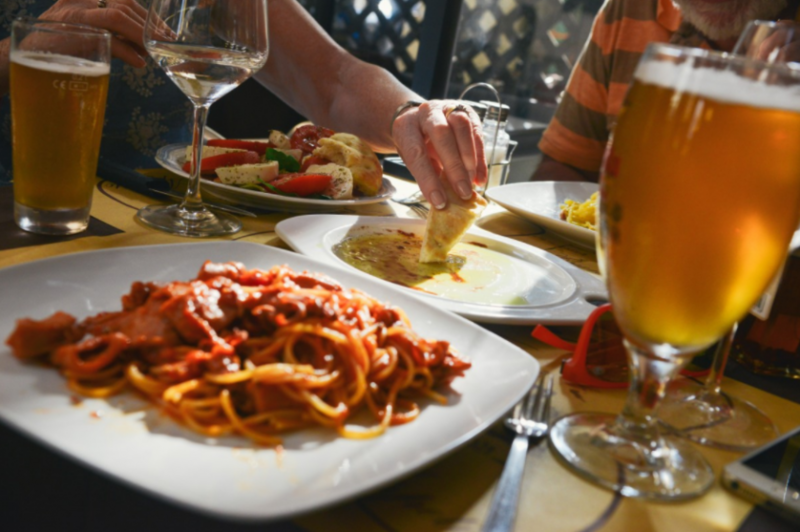 If you require non-disposable dishware/utensils, most venues will supply for a fee. Our food expertise truly lies in Italian and Desserts, but that does not mean we do not know how to make anything else. We want you to be happy, and we will create a menu perfect for you and your event.